As an independent financial advisor, Lee Rawiszer helps high net worth professionals, pro-athletes, entertainers and business owners understand their current situations and define future goals. Lee believes that financial planning is a process that should reflect the client’s vision, values and goals. He designs strategies that are flexible and takes into account that nothing remains static; people’s lives change and plans need to be adjusted on an ongoing basis. "Nothing is more satisfying to me as a financial advisor than helping my clients achieve their goals and protect their wealth for current and future generational planning." Lee and his firm provide clients with meaningful solutions to a wide range of financial matters including: investments, risk management, estate and tax planning, insurance planning as well as qualified and non-qualified retirement plans. He is a specialist on retirement income planning that includes the use of a wide array of alternative investments*. Lee is never obligated to any "proprietary" products. Lee has a BA degree in Economics from Manhattanville College. His vast financial knowledge puts him in demand as a public speaker on a variety of financial issues. 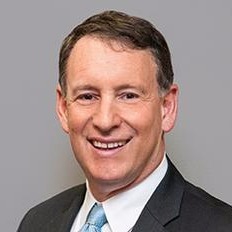 He has delivered presentations and educational seminars to a range of organizations, including the American College, NYU Medical Center, Montefiore Hospital, and the National Association of Insurance and Financial Advisors nationwide. His videotaped presentations have been used as an educational tool for people just entering the financial services industry. Lee has a niche specializing in working with high net worth physicians, entrepreneurs, professional athletes and entertainers on both the east and west coasts. Lee lives in Westport, CT with his wife Eva and their two children. He enjoys film, theatre, golf, tennis and baseball. * Investing in alternative assets involves higher risks than traditional investments and is suitable only for the long term. They may not be tax efficient, and have higher fees than traditional investments. They may also be highly leveraged and engage in speculative investment techniques, which can magnify the potential for investment loss or gain. Wealth Management is a process and a partnership built on trust and integrity. 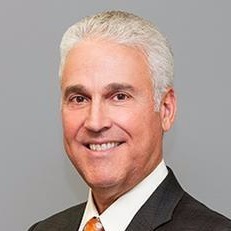 David Halper works with high net worth individuals who are in or near retirement as well as many successful professionals and entrepreneurs. He focuses on helping them understand the importance of developing a strategic, long term wealth plan. For David, it all starts with gaining clarity about a client’s current situation.That includes identifying core values, defining future goals and developing a strategy that is flexible and will allow his clients to reach their objectives. Ongoing client support is equally important to David. He knows life brings changes so he conducts regular reviews to help make sure a client’s plan remains on course to meet future goals. David understands that all clients are unique and deserve highly customized solutions and strategies to meet their specific needs. As an independent advisor, he is not obligated to any "proprietary" products. David has the ability to simplify complex financial concepts so that his clients fully understand all of their options. He loves helping people make progress toward their goals and objectives. David and his firm take a “team approach” to managing a client’s financial strategy. He often acts as the key liaison or "wealth guide" of the financial team to coordinate with a network of other top professional advisors. David has a BA in History from Colgate University and taught high school history, and coached soccer and tennis teams. His background as an educator and coach is a benefit to his clients as he helps them better understand their financial issues so they can make fully informed decisions. In 1987, David’s father, Chuck, introduced him to the financial services industry. In addition to his years of experience in this field, he also holds the designations of Chartered Financial Consultant and Chartered Life Underwriter. David currently lives in Weston with his wife Jill and their combined 5 children. 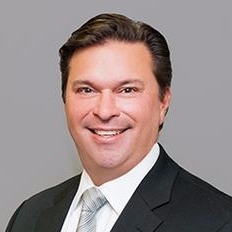 As Managing Partner for Paradigm Financial Partners LLC, Paul Volpe specializes in financial analysis and research. He manages the firm's Investment portfolio, their web-based wealth-planning platform that provides clients with a comprehensive, aggregated view of their financial situation. Having managed his own practice for nine years, Paul understands the issues facing business owners and high net worth individuals. He brings that insight to the planning process. He understands that in an ever changing economic environment, staying abreast of new planning techniques, strategies, tools and resources is important. Continuous advanced financial education enhances his ability to help clients stay on track to meet their goals. Paul meets with clients throughout the financial planning process as he designs and monitors client portfolios, either independently or through third party managers, and analyzes market trends. He believes in helping clients become fully informed about their financial life. Paul joined Paradigm Financial Partners in August of 2003 after selling his own practice where he managed over $45 million. In addition to his experience and knowledge, he brings a relationship oriented philosophy to the firm’s clients. Paul recognizes the importance of understanding a client’s vision and values, not just their financial situation. Paul lives in New Canaan, CT with his wife Mia and two sons, Jack and Connor. He enjoys spending time with his family and friends, traveling and sports. Traci is a financial advisor drawing upon her twenty years experience as a divorce litigator, consultant and mediator. 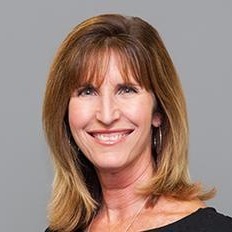 The experience that she derived from her work as a divorce attorney, combined with her commitment to zealously represent each of her clients, translates to a highly personalized and effective approach to financial advisory. Traci employs a comprehensive, values based, financial and estate planning strategy to each of her clients. She is very comfortable working with families’ various advisors, including trust and estates attorneys, CPAs, and matrimonial attorneys. Traci is committed to guiding and supporting her clients on their journey of defining their financial objectives and pursing their goals. Working from an independent platform such as Paradigm Financial Partners enables Traci to choose better solutions to meet her clients’ needs. One of the most rewarding aspects of her job is educating clients about their finances. Traci graduated from McGill University in Montreal, Canada with a Bachelor in Arts. She went on to earn her Juris Doctor from The Benjamin N. Cardoza School of Law where she was an Editor on Law Review. Traci lives in Westport with her husband, two children and dog. She is on the General Committee of PinkAid, a local charity that helps underserved women survive breast cancer treatment with support and dignity. In her leisure time, Traci enjoys gardening, cooking and yoga. 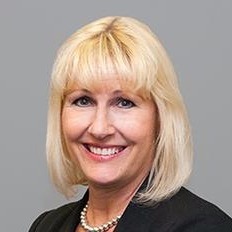 Barbara joined Paradigm Financial Partners in June of 2013. She has over three decades of experience as an Executive Assistant, supporting C-Level Executives in the financial and consulting fields. Prior to PFP, Barb held the position of Participant Services Coordinator at Executive Wealth Management. She has extensive experience in event planning, travel and operations. Barb resides in Norwalk with her husband Chip. They have two grown children. 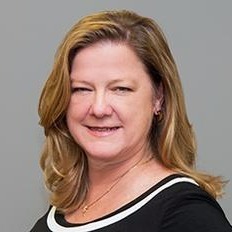 Donna has a BS in Accounting from Fairfield University and an MBA in Finance from Sacred Heart University, and has been with the firm since 2005. She worked for ten years as a Financial Analyst for two Fortune 500 Companies. She has been in the Financial Services industry for more than 15 years. In her spare time Donna can be found at the YMCA or walking at the beach. She also enjoys traveling and spending time with her family. Donna and her husband have two grown children, and have been Westport residents for more than 30 years. 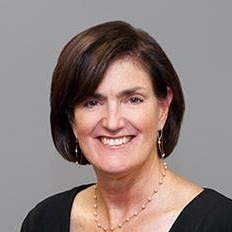 Susan joined Paradigm Financial Partners in June of 2005. She manages the relationships, benchmarks and pricing for 401k plans, and services the variable annuity business. Prior to working at Paradigm Financial Partners, Susan was an AVP in Public Finance with Shearson Lehman American Express. Susan graduated with a BA in Economics from William Smith College in Geneva, NY. She and her husband reside in Wilton, CT and have two grown sons. She enjoys duplicate bridge, travel and biking. Debbie has been with Paradigm Financial Partners since 2014. She holds a BS in Marketing from Indiana University, and has a Connecticut Life & Health Insurance license. When not at work, Debbie can be found on the sidelines of a soccer field or basketball court. 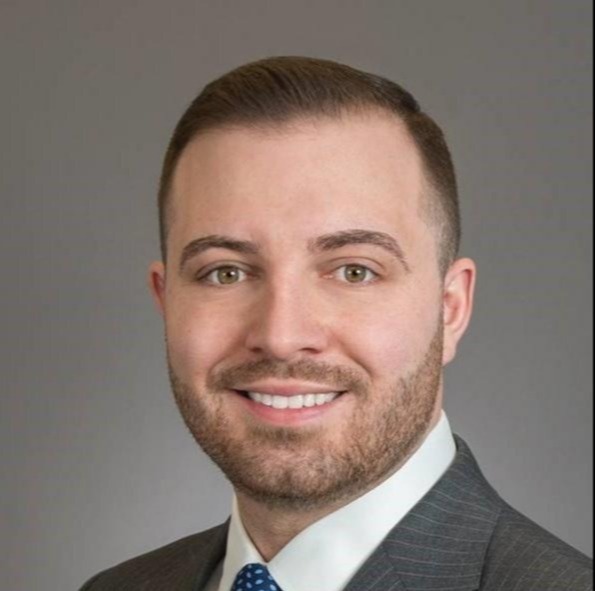 Gerlind joined Paradigm Financial Partners in February 2010, as Director of Investment Operations, responsible for implementing clients’ investment strategy, executing trades and funding transfers, as well as preparing client reviews and new account paperwork. 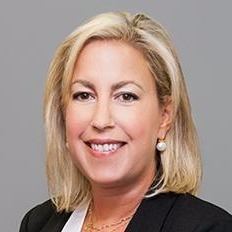 Prior to working at PFP, Gerlind was a management consultant at Bain & Company and held positions as CFO and business manager at publishing companies in Germany and the US. Gerlind graduated with a Ph.D. in business administration from Christian-Albrechts-University in Kiel, Germany. She and her husband Joe reside in New Canaan, CT and have a grown daughter currently living on the West Coast. They enjoy travel and various sports. 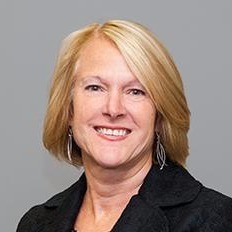 Carol joined Paradigm Financial Partners in 2011, providing customer service and guidance to high net worth individuals. 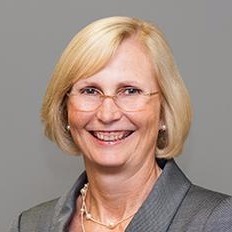 Fielding any account inquiry, Carol uses her three decades of experience in the financial services industry to guide clients through every service need. 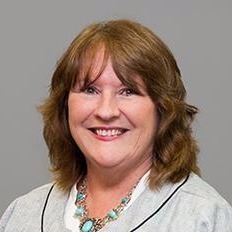 Carol also schedules client reviews and handles their transactional, account, and administrative requests with a personal commitment to exceptional customer service. Carol holds a Bachelor of Science from the University of Delaware. She and her daughter reside in South Salem, NY. Kris has her Bachelor of Science from Colorado State University. She was a very active community volunteer for many years prior to joining the firm in 2014. 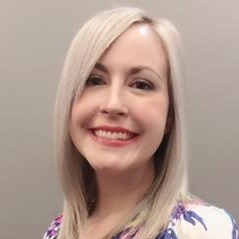 Nikki joined Paradigm Financial Partners in February of 2017. 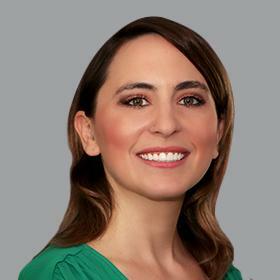 She has a BA in English from the University of Connecticut and has worked in the insurance industry for several years. She recently obtained her Connecticut Life & Health Insurance license. In her spare time, Nikki enjoys cooking, visiting wineries, and reading. She lives in Shelton with her dog and two cats.